Preparations Underway to Protect Rohingya Refugees From Monsoons - Integration Through Media ....! 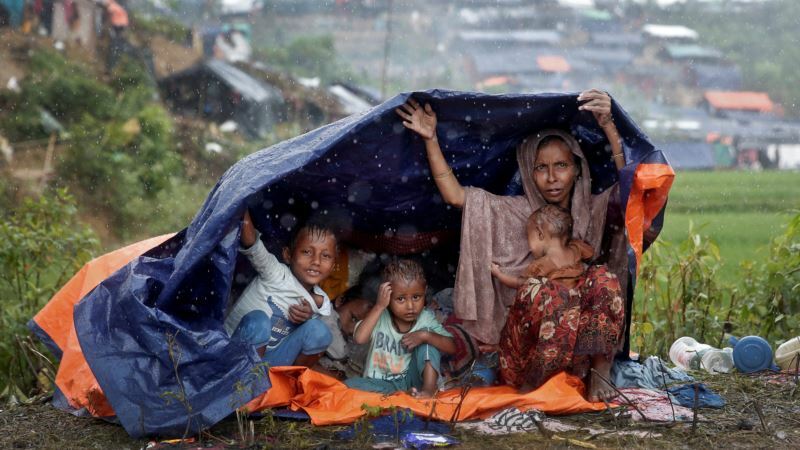 (VOA): Aid agencies are scrambling to protect hundreds of thousands of Rohingya refugees in Bangladesh ahead of the impending monsoon season in April. Nearly 700,000 Rohingya refugees who have fled violence in Myanmar are living in overcrowded, squalid conditions in Cox’s Bazar, Bangladesh. U.N. Migration spokesman Joel Millman says their fragile shelters of bamboo and plastic tarpaulin are unlikely to survive the monsoon threats ahead. “Many people are living in precarious housing on hillsides … With the risk of heavy rains and cyclone winds just weeks away, urgent action is needed to help them strengthen their shelters and shore up the soil to reduce the likelihood of deadly landslides,” he said. Millman said his agency is launching a major operation to provide sturdy materials to help 120,000 households in camps and local communities improve their shelters. He said it will not be possible to provide safe havens for everyone, but it is possible to mitigate the potential damage to people’s living environment. The U.N. children’s fund UNICEF also is making preparations to safeguard the population, especially some 60,000 children who are in grave danger from flooding and landslides. UNICEF spokesman Christophe Boulierac says the possible damage that could occur to water and sanitation infrastructure is of great concern. “This water sanitation risk has a direct impact on children’s health as children are highly prone to water-borne diseases, such as acute watery diarrhea and cholera. Younger children are also at risk of drowning in flood waters in some parts of the camps, especially when they are playing on their own,” he said. Boulierac said children will face an even greater risk of disease during the monsoon and cyclone season. To protect these vulnerable young lives, he said UNICEF is setting up mobile medical teams, as well as treatment centers to respond to acute watery diarrhea or cholera emergencies.